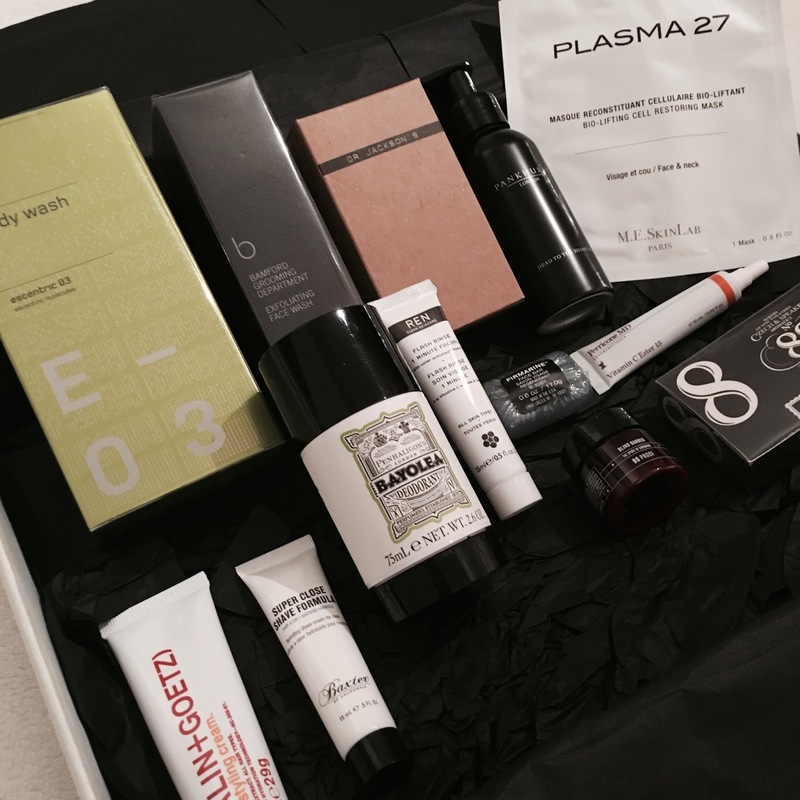 Whilst enjoying a great weekend in Cardiff, I took this incredible Limited Edition Mr Porter Grooming Kit with me to sample the thirteen luxury travel and full sized products nestled within. 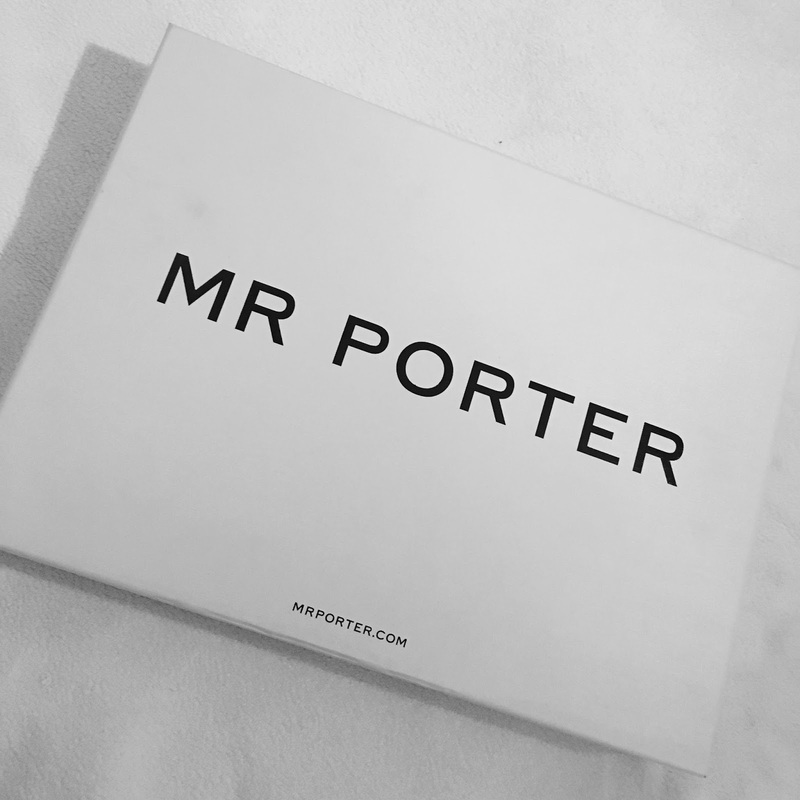 Getting ready to go out; the morning after the night before and before bed the next day, I used all of the products in the box that features the best selling products on Mr Porter in skin, body and haircare from some of the best names in grooming. Out of the thirteen, my top products were those that I would use regularly, if not everyday as they were easy to fit into my routine, are easy and quick to use as well as complimenting each other in their smell. Firstly, the Escentric Molecules; Escentric 03 Body Wash is a really invigorating body wash that is inspired by the warm and earthy scent of vetiver, that is not only featuring a moisturising formula, it is enhanced with hints of green peppercorn, Egyptian jasmine and rich amber which left my skin feeling really clean and smooth. Secondly, Bamford Grooming Department’s Exfoliating Face Wash is an exfoliating face wash that was soft to use – it doesn’t scrape the skin or leave it feeling raw – but gently swifts away dead skin using ginger, black rice and quartz, however it is the charcoal extract that helps to purify, and the phytonutrients in Swiss cress work to fight signs of ageing. Important when one is approaching the big 3-0. Third is the Malin & Goetz – Sage Styling Cream hair styling cream offers a firm, natural hold suited to styling all hair types and lengths, which is great for mine when it’s in that annoying stage of min-between. It’s infused with scalp-soothing sage and chamomile, plus nourishing sweet almond and shea butter which smelt delicious. One essential and purely excellent product – perfect for the morning after the night before – was the M.E. Skin Lab Bio-Lifting Cell Restoring Mask that was refreshing and perfect for ideal for when your skin needs a quick boost. Free from petrochemicals, parabens and silicone, it’s formulated with calendula extract and soothing lettuce and lemon balms which was a little tingly but stimulating. So what is included? The thirteen pieces include: Escentric Molecules – Escentric 03 Body Wash (200 ml); Pankhurst London – Head To Toe Shampoo (100 ml); Bamford Grooming Department – Exfoliating Face Wash (90 ml); Penhaligon’s – Bayolea Deodorant (75 ml); Malin & Goetz – Sage Styling Cream (29.57 ml); Dr Jackson’s – No.3 Face Oil (25 ml); Erno Laszlo – Firmarine Bar (17.74 ml); Baxter of California – Super Close Shave Formula (15 ml); Ren Skincare – Rinse Flash 1 Minute Facial (15 ml); Blind Barber – 90 Proof Hair Pomade (14.79 ml); Perricone MD – Vitamin C Ester Serum (10 ml); Czech & Speake – No.88 Hand Soap (1 ml) and M.E. Skin Lab – Bio-Lifting Cell Restoring Mask (1 ml). 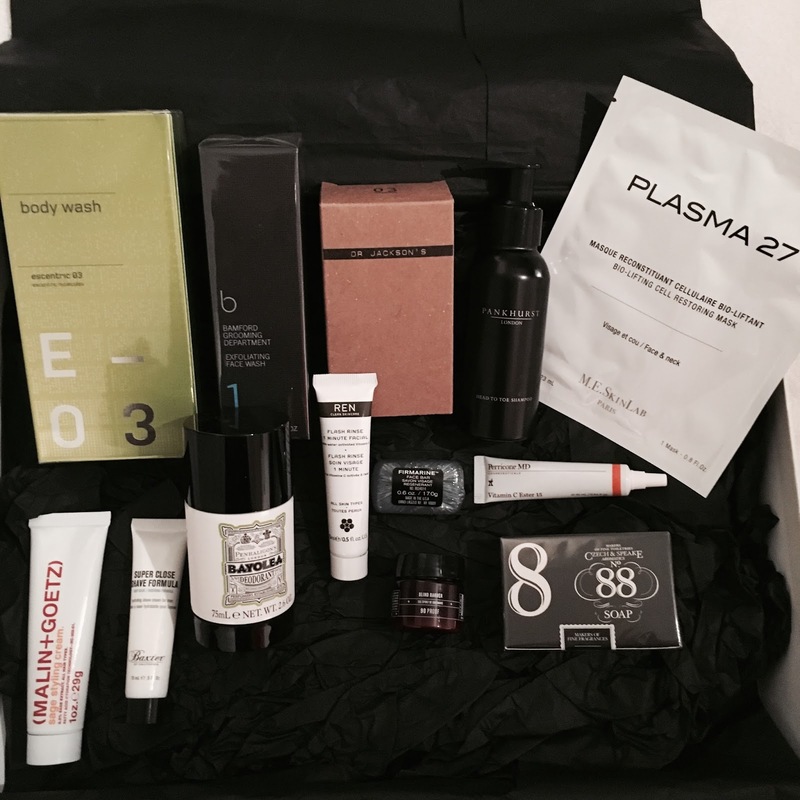 A big thank you to Mr Porter for sending over this incredible box; not only is this a great kit to get you started onto a regular and healthy grooming routine, at £50 (yes, it’s such a good price) it’s the perfect Christmas present for any man in your life.